Do you have a fisherman in your home? I have three in my house that would spend every waking minute at the lake if they could. I typically don't mind my husband and the boys going fishing because it means the boys are not sitting in the house playing video games. They are outside in nature learning valuable life skills. Come Spring PEETZ OUtdoors will be helping the boys learn some new fishing skills. PEETZ Outdoors has a variety of fishing gear that will get any fisherman big or small excited. 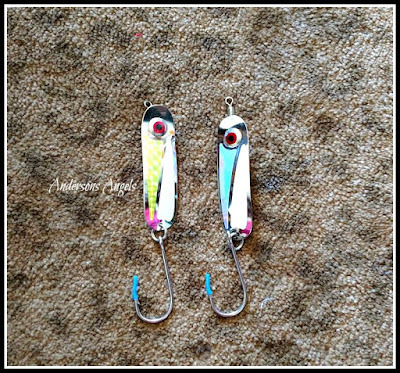 Mr. Anderson will be getting these Hookum Diving Spoons as a Christmas present. Though he will have to wait till Spring when the fish start biting again to use them since we live in Ohio. I know some people do ice fishing but that is one type we stay away from since the weather in Ohio is so unpredictable we don't feel safe going out on the ice. The Hookum was orignally designed by founder Boris Cecil Peetz in the 1930's. The Hookum originally came in polished brass or German silver (a colorless form of brass). 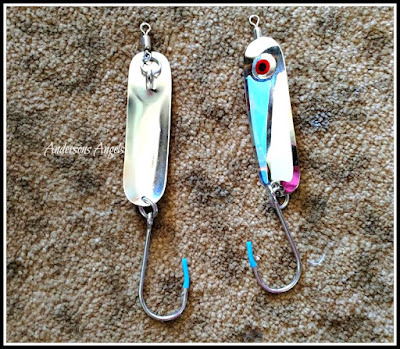 The Hookum features a unique swivel connector that extends from one side, rather from its end like a traditional spoon. This connector forces the spoon to slightly dive in a "nose down" position which allows the behavior somewhere between a spoon and a plug lure. 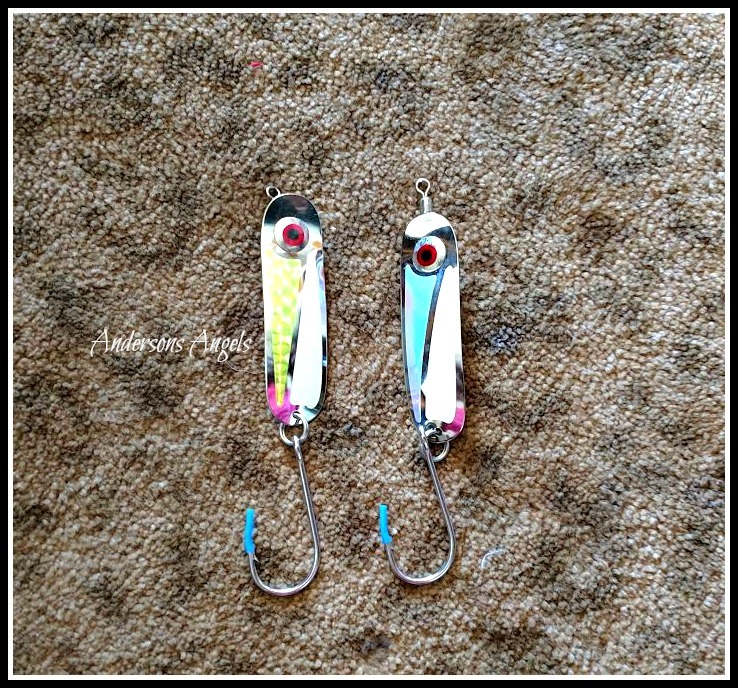 The Hookum Diving Spoons at 2.5 to 3 knots trolling speed, dart left and right erratically and perform the occasional 360 degree spins. This type of unpredictable action has been proven to be irresistible to most species of sport fish on the West Coast. Though we live on the East Coast I can't wait to see how these spoons perform for my husband and boys. Make sure you order some Hookum Diving Spoons for the fisherman in your family I am sure they won't be disappointed with them as a gift!